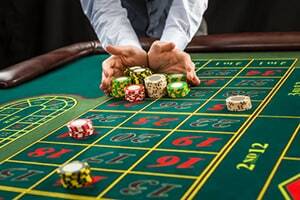 If you were severely hurt at Calder Casino, then you should call the Calder Casino accident attorneys at the Wolfson Law Firm. We have handled personal injury cases for our clients since 1963. We can answer your questions and provide you with all of your options after your Calder Casino injury. Call now for your free consultation at (305) 285-1115 and let’s get to work on your Calder Casino injury claim. Calder Casino in Miami is a classic American casino - with all the gambling, dining, and entertainment options offered at only one single venue. It is operated by Churchill Downs Inc., the company behind the globally famous Kentucky Derby horse race. The company operates several gambling facilities, including casinos, in eleven US states. From Calder casino claim, they host nearly 1100 slot machines and plenty of electronic tables. Of course, all-you-can-eat buffet and live music concerts are also part of the successful marketing that fills the casino every single day. According to Florida premises liability laws, Calder Casino is liable for any personal injuries occurring on their premises due to their own wrongful action or sheer negligence. The casino owes duty of care to its visitors. It is obliged to provide safe environment for entertainment, andbreach of this duty leading to personal injury puts the burden of legal responsibility on the shoulders of Calder Casino. They are responsible for paying medical bills related to the accident, compensation for physical pain and stress, compensation for lost wages, and other injury-related losses. Large corporations, such as Calder Casino operators, are aware of these laws and often settle for damages. However, the amount they pay is not always adequate to the suffered damages, especially when people represent themselves. If you are not familiar in details with these laws, better call a Florida personal injury lawyer. He will help you figure out how to get a just compensation for your harms and losses. Slip and fall injuries at Calder Casino due to slippery floors. The casino floors must be free of liquids and clean. If there are liquids that couldn’t be removed immediately, they should put a warning of some kind. Trip and fall injuries at Calder Casino due to garbage and debris. Again, floors should be clean of anything that could bring you to the ground. Elevators accidents at Calder Casino. Uber accidents at Calder Casino. Escalator accidents at Calder Casino. Lyft car accidents at Calder Casino. Food poisoning at Calder Casino in Miami. Food should be safe for consumtion. Negligent or inadequate security at Calder Casino in Miami. Foreign objects in food at Calder Casino in Miami. Calder Casino crime victims seeking compensation. Robberies and other criminal assaults at Calder Casino in Miami caused by casino security negligence or incompetence. At the Wolfson Law Firm, our Calder Casino accident lawyers are ready to answer your questions following your Calder Casino accident and injury. Our bilingual personal injury lawyers and staff are standing by to help you figure out what to do after your Calder Casino accident. Get the answers you need so that you can get the justice and compensation you deserve. Call now at (305) 285-1115.